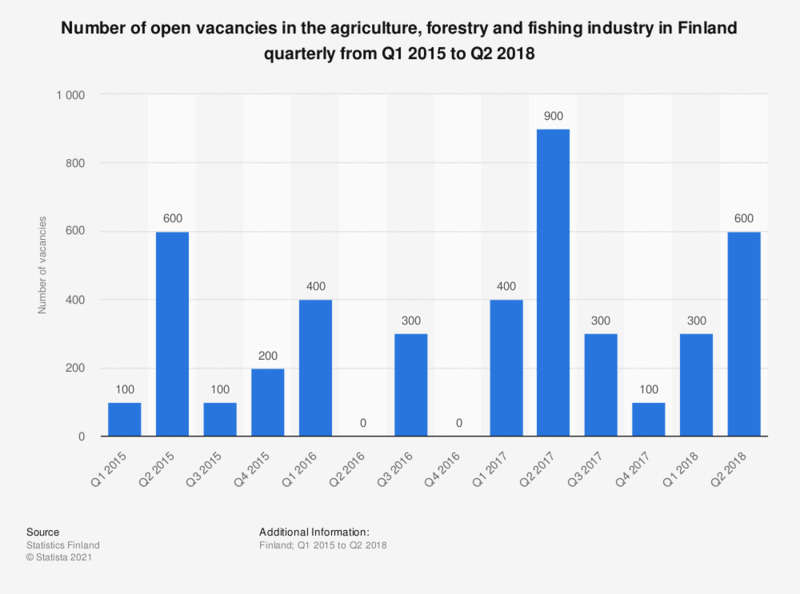 This statistic shows the quarterly number of open vacancies in the agriculture, forestry and fishing industry in Finland from Q1 2015 to Q2 2018. In the second quarter of 2018, the number of open vacancies amounted to 600. "0 = estimation less than 50."